The keynote speech for this session was delivered by Professor Kabir Sheikh, a Joint Director (Research and Policy) at the Public Health Foundation of India and a Principal Fellow at the University of Melbourne. The keynote presentation focussed on Governance and Financing for Universal Health Coverage and mixed health system syndromes. 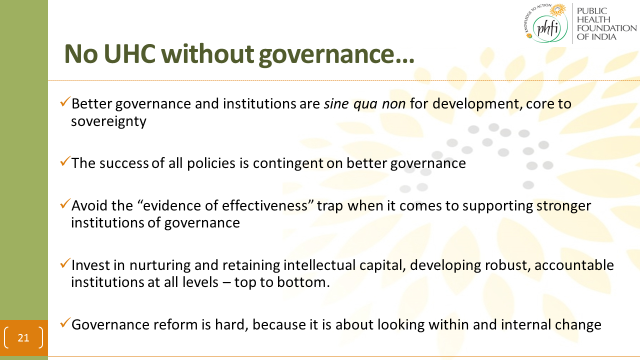 The seasoned Professor who is also Board Chair of Health Systems Global provided an overview of current health sector governance and governance for health arrangements as well as mechanisms of financing UHC. He noted that limited understanding of governance, what it is and how it works is one of the major challenges of effective health delivery. Professor Kabir pointed out that without first sorting out governance issue and challenges, Universal Health Coverage will always remain a pipe dream. The Director SPEED Project –the hosts of the symposium-Professor Freddie Ssengooba decried the absurd loss of life and haemorrhage of financial resources due to preventable causes like unwanted pregnancies. 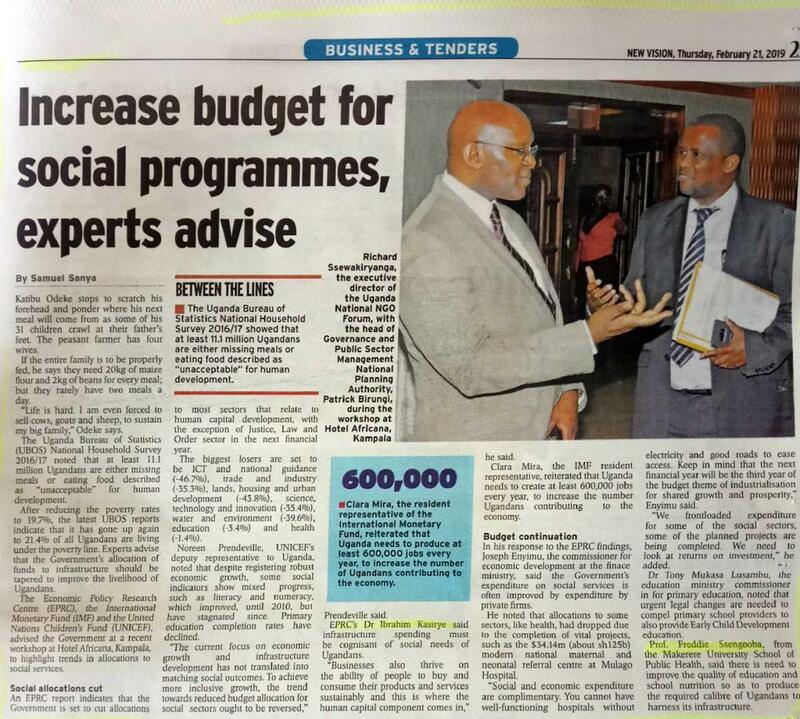 Prof. Ssengooba called on government to invest more in contraceptives and family planning services to save lives and money that can then finance other health priorities. . He noted the current huge wastage of funds on non-essential items like fancy packaging materials for otherwise cheap medicines. The Professor of Health Policy and Systems management further noted that there are interventions that have proved effective like indoor residual spraying for malaria control yet many poor countries like Uganda have continued to pursue expensive treatment plans. In his remarks, Mr. Richard Sewakiryanga, the Executive Director, National NGO Forum stressed the need to regard health expenditure particularly the human resource as an investment rather than as a cost. He emphasised that provision of quality public health services is a right for citizens. The Director Health Services (Clinical) Ministry of Health Uganda who represented the Permanent Secretary, concurred that without addressing issues of governance and leadership, no amount of financial investment in UHC will be useful. He emphasised the importance of investing across sectors. “For instance water is key in ensuring good health; there is no need saving someone from an immunisable disease and they die from a diarrhoea disease. Besides, we all know that keeping girl children in school reduces the burden of maternal health issues”, he pointed out. He said that the Ministry of Health puts a lot of emphasis on prevention in health service delivery.